Anyway back to my original story, do you know what type of people/customers do we hate? Yes, we feel annoyed whenever someone tried on so many clothes but did not buy a single piece. However, we don’t despise these people as much, as we hate girls that leave their make up stains on the clothes. Yes ladies, your foundation and lipsticks stains on the clothes are so unbearable! To be honest, when this happened (some can still be rescued, some are total gone) like it or not we had to wash some of these clothes. And at times, I was given the task to clean it. (ggrrr…). But, this is an another classic example where we must take everything is positive manner, because from this experience I was introduced to WOOLITE! The amazing Woolite is able to remove stubborn stains and without affecting and the colour or texture of your clothes. After so many washing, my clothes still look as good as brand new. For years, Woolite has been my well kept secret in keeping my clothes in good shape. 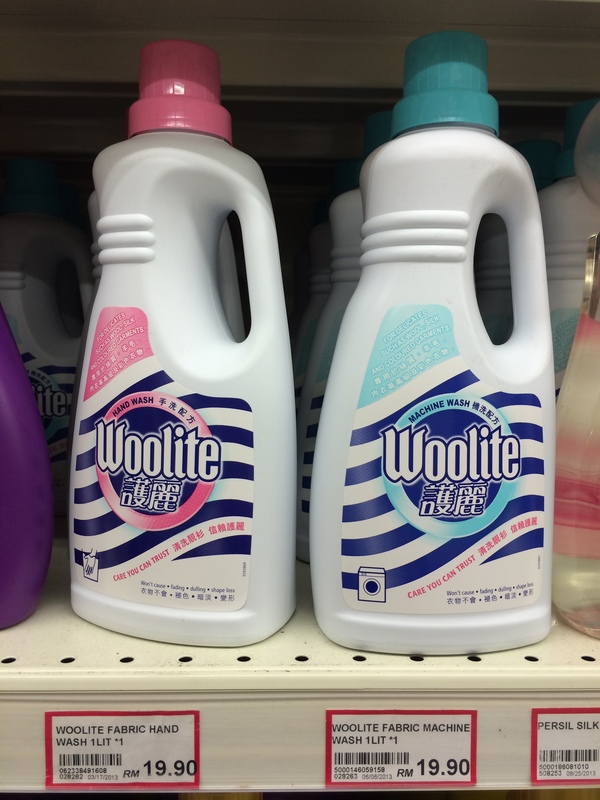 There are two types of Woolite (oh well, at least what is available in the Malaysia market as even I’ve been looking Woolite Darks but still no luck). The pink one is for hand wash whilst blue one is for machine wash.
Where did you buy this detergent?